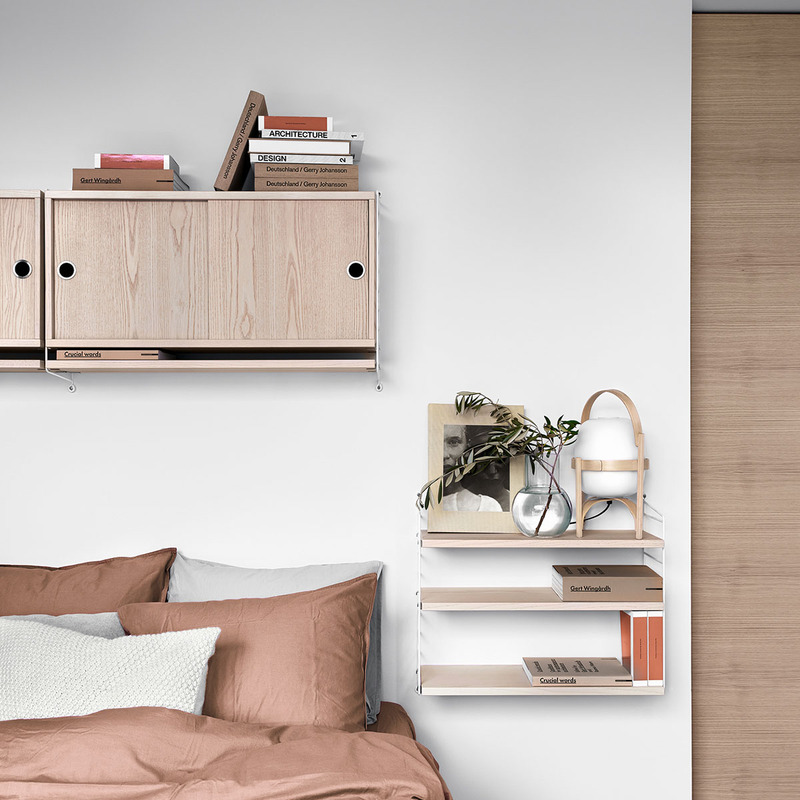 The String storage systems are multi award winning designs that continue to grow in strength; a light weight and flexible storage system constructed of side panels and shelves that are easy to mount and move creating various combinations, depths, and frame functions as a unit. Change a colour, add a shelf, vary a look, or combine all elements to get the perfect String look for your place. The products offer shelving cabinets, magazine shelves and a desk piece. A combination of timbers are available, as well as coloured shelving options. Not sure where to start? BUILD YOUR OWN STRING HERE, save your design and contact our showrooms to complete the order.